We fix roof leaks and roofing problems with expert service. Improve your home with beautiful, energy-efficient windows. We install energy-efficient replacement doors for every budget. We can make your dream bath a reality. We have the right kitchen remodeling solution for your family's lifestyle. Learn how Atlas Designer Shingles installed by Arnolds Home Improvement provide better protection for your roof and your home. Your home is one of the most important parts of your life. If you're looking for top-notch roofing installation and remodeling contractors to install durable roofing systems, luxurious bathroom remodel products, energy-efficient replacement windows, beautiful vinyl siding, and more, trust the professionals at Arnolds Home Improvement. Since 1990, we have helped to transform homes in the Greater Toledo area into beautiful spaces that homeowners can be proud of. You can be sure that the quality of our products and the expertise of our team will exceed your expectations. In fact, customers have been so satisfied with our services throughout the years that we've earned a sterling reputation and numerous accolades. This includes the prestigious Torch Award, which the Northwest Ohio Better Business Bureau gives to ethical companies that display truthful advertising and honest business practices. For superior roofing and remodeling services, you've come to the right place. We offer free estimates for all of our services throughout Toledo, Ann Arbor, Findlay, and nearby - schedule yours today! All roofs eventually wear out and require repairs or replacing, but it's important that you choose the right contractor to get the job done. Arnolds Home Improvement can provide you with an excellent roofing system to shield your home from the outside elements and increase its curb appeal for many years to come. Our roofing contractors expertly install roofing systems by some of the best and most renowned manufacturers such as Atlas and Owens Corning. No matter which of our roofing shingles you choose, they will offer exceptional wind resistance, strength, and color retention at a reasonable cost, making them a great long-term investment for your home. 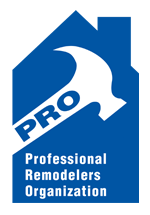 Arnolds Home Improvement is proud to be an Atlas Pro Plus Platinum Level Contractor - it's just one more way we provide our customers peace of mind. Atlas roofing has been a major manufacturer of quality roofing materials since early 1980. 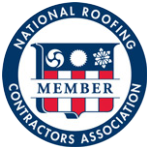 Due to our exceptional workmanship and reputation, we've been selected to receive their highest level of recognition for a contractor. Regardless of the project you wish to have completed, you can count on receiving highly personalized, cost-effective service from start to finish when you work with Arnolds Home Improvement. Together, we will go through the Arnold's 7-Point Value Implementation Process, which includes a free estimate and a consultation with our remodeling contractors to discuss all project details, like color scheme and materials. Contact Arnolds Home Improvement today to learn more about the products and services we offer to homeowners in Toledo and all other surrounding cities of Ohio and Michigan. We'll be pleased to install new replacement windows, roof shingles, house siding, seamless gutters, or bathroom remodeling products at your home. Call us at 1-855-602-8348 or contact us online to schedule your free estimate! Get started on your project now with our free, no-obligation estimate.